By all standards, this was a big proposal – 103 wind turbines (90m in height and 14 m to blade tip) were in the event consented. The development site covered some 50 square miles (a little over one-eighth of the total area of mainland Shetland) – it involved 104 km of access tracks of up to 10 m in width; quarries and borrow pits to extract 1.47 million cubic metres of rock by drilling and blasting; excavation of up to 919,310 cubic metres of peat. Some 232 hectares would be disturbed with a permanently affected area of about 104 ha. And the economic benefits were said to be correspondingly big. 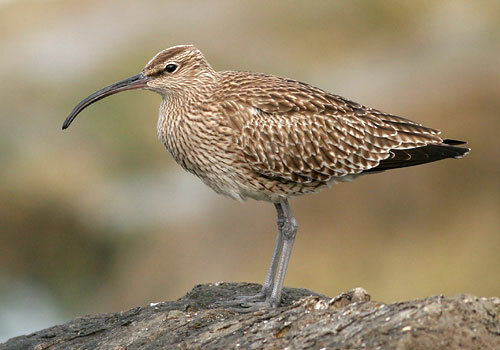 Ministers accept that the loss of 3.7 whimbrel per year as a result of the windfarm would be likely to have some impact on what is a small and declining subset of the species. Ministers thought that such losses could be got round by a rather vague Habitats Management Plan, which, in optimistic mode, was thought capable of compensating for such losses. But they also said, in effect, that it did not matter if the whimbrel population declined because of the economic importance of the proposal. Now to the law. The Wild Birds Directive 2009/147 contains an obligation in Article 2 to maintain bird populations at a level which corresponds to ecological, scientific and cultural requires “while taking account of economic and recreational requirements”. These quoted words were a little obscure if looked at on their own, until they were explained in the Lappel Bank case as ruling out the possibility that economic issues be used to justify measures which affected population levels. Scottish Ministers and the wind farmer sought to re-argue this point before the court unsuccessfully. Put bluntly, the obligation to “maintain” populations is not met by a proposal which threatens to destroy them. But what had the decision letter said about the Directive’s obligations? Er, nothing. Quite extraordinarily, there was no mention of the Directive at all – not a promising start for an authority seeking to uphold a decision. I consider that the interpretation of the Wild Birds Directive is not without its difficulties. But in circumstances where the Directive applies and is relevant to a determining issue, I am of the opinion that it is necessary for a decision maker in a case such as this to engage with the Directive and make it plain, at least in general terms without giving a legal treatise in what way the Directive was or was not applied and that it was properly applied. I do not consider that is a high or unreasonable standard to expect. As I have observed earlier in this opinion, this case involves a very large, multimillion pound development with important consequences….. In my opinion the legal framework of the decision making and the approach adopted by the decision maker in relation to a determining issue in a case such as this requires to have some transparency. Hence she found for the NGO on this point. Scottish Ministers’s decision was under s.36 Electricity Act 1989, namely to consent the construction of an electricity generating station. Such a consent has the effect of amounting to a deemed planning permission. Such decisions can be taken “on the papers” or as a result of a public inquiry. Given that there were over 2,772 objections (and 1,109 letters of support), one might have thought that this was a classic case for a public hearing. Scottish Ministers were unpersuaded, and an attempt to challenge this before the court was unsuccessful. Ultimately, there is a broad discretion in such cases in respect of the scheme, and the judge was not convinced that the reasons in favour of an inquiry were so strong that any reasonable decision-maker would have ordered a public inquiry. Ironically, both Scottish Ministers and wind farmers may be ruing that decision to do it on the papers. An inquiry, with cross-examination and oral argument on facts and law does tend to lead to better decision-making. It would certainly have led to the Birds Directive point being debated, and not simply ignored. It might also have identified the “competency” point, which was the other successful ground of challenge. During the hearing, the judge wished to be addressed on the statutory scheme within the Electricity Act. As the hearing progressed, it became clear that there was a real issue whether the particular wind farmer could apply for a consent under section 36 of the Act, unless it had a generation licence under s.6 of the Act. After sustained argument, the judge decided it did need such a licence, and therefore the application for the consent did not have “competency”. On this ground alone, Scottish Ministers were wrong in law to grant the consent. Now is not the place to develop the intricacies of this argument, which is going on appeal anyway . But my point is a simple one. With a written process and without a judicial review, this unlawfulness point would not have surfaced. That is what judicial review is for, to make sure that, whatever other public interests may be in play (climate change, jobs, and loadsamoney for Shetland), things are done lawfully. It looks as if the case is going to be heard on appeal in February 2014 (see here for a similar piece of litigation by Donald Trump saying that another wind farm will affect his golf course and battening on to the competency point). Sustainable Shetland will be there to argue the Birds Directive point, but it does not have enough assets to argue the competency point. Therein lies the reality of much NGO litigation. A plague on all wind-farms. May they all come tumbling down. Each one that succumbs to natural turbulence means a few more birds will survive these evil monsters. Judicial review is a devolved matter (the Scotland Act 1998 rather strangely defines it as included in private law, section 126 (4)) and as Jonathan Brown points out there are no proposals to narrow the law as to standing in Scotland; see http://www.scotland.gov.uk/Publications/2013/02/5302/8 which remains up to date. If an attempt were made to push the current English consultation proposals through Westminster as pan-UK changes, it’s hard to believe a Sewel motion could ever get through Holyrood even if one were proposed which seems highly improbable. The Westminster proposals are in fact only for England and Wales anyway; the consultation is explicit that they do not extend to Scotland or Northern Ireland. If they do get passed, NGOs which currently choose to seek JR against HMG in London should consider doing so in Edinburgh instead. Cheers! You say that “there is a very good chance that the NGO which brought this challenge would not be entitled to do so if Mr Grayling gets his way, because it might well not have been held to have “standing”.” How so? Mr Grayling’s proposed reforms affect England and Wales only, and even if he wanted to legislate for Scotland he has no power to do so. The applicable Scots law as to questions of standing has been comprehensively reviewed and restated by Lord Reed in two recent Supreme Court decisions. There is no proposal for legislation to alter that. “… [T]here is a very good chance that the NGO which brought this challenge would not be entitled to do so if Mr Grayling gets his way”. Is there, though? It was a challenge in the Outer House in relation to a decision by Scottish Ministers and I’d assumed that, if implemented, Grayling’s proposed restrictions on JR would apply only to England and Wales. is he hoping to extend them to the rest of the UK?